It’s not uncommon for a professional athlete to retire at a relatively young age. 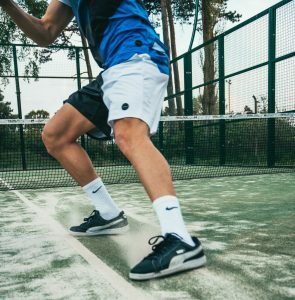 Many cite the amount of strain and play-related injury inflicted on their bodies as a leading factor in hanging up cleats, rackets, and uniforms. Recently, tennis champion Andy Murray announced retirement pending later this year. While 31 seems too soon to leave the courts, it’s understandable given the pain he’s experienced. Hip pain forced Murray to withdraw from some tournaments in 2018, and it likely played a factor in his first-round loss in the 2019 Australian Open. Despite the news of retirement, various media sources have speculated on whether or not a hip resurfacing procedure could help prolong Murray’s career. If you have suffered any type of joint pain and fear a loss or reduction of your active lifestyle, you might wonder if this option could mean the difference between more days doing what you love, or sitting on the sidelines. A shorter recovery. Patients may be able to walk 4-5 hours after surgery, and a hospital stay is considerably shorter than one for a total replacement. Ball and socket remain intact. A resurfacing procedure does not remove this joint. Carrying weight feels easier. Patients reportedly walk with ease after resurfacing, as the procedure allows one to carry weight on the legs normally. Reduced risk of dislocation. With care, one need not consider resurfacing a preliminary procedure to a total replacement. Candidates for joint resurfacing typically skew younger because they have more healthy bone to allow for the procedure than seniors. Joint resurfacing may keep athletes like Murray playing longer, but ultimately other factors will help determine their future. The physicians at Virginia Orthopaedic & Spine Specialists of Hampton Roads can help you determine if joint resurfacing is a viable option for relieving your knee, shoulder, or hip pain. With success, you can resume your favorite activities in a matter of weeks. Contact us today for more information.